Susanne Boll is a Professor of Media Informatics and Multimedia Systems in the Department of Computing Science at the University of Oldenburg, in Germany. 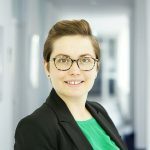 She is also a member of the executive board of the OFFIS–Institute for Information Technology in Oldenburg, an associated research institute of the University of Oldenburg. Her research interests lie in the field of multimedia and intelligent user interfaces. She teaches Interactive Systems and Interactive Multimedia in the Bachelor Programme in Computer Science and offers lectures and practical lab courses in HCI, Wearable Computing and Digital Fabrication in the Master Programme in Computer Science. 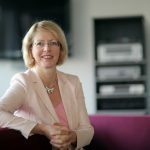 Since recently Susanne Boll is also a co-founder of the new Master Programme in Computer Science „Engineering Socio-Technical Systems“. She is leading several national and international scientific projects with strong cooperation with research experts world wide. She head one of the few leading groups in Europe that works on mobile and ambient user interfaces exploring different novel modalities such as visual, auditory and tactile in pervasive displays. 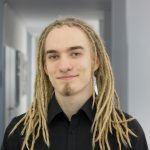 Since 2001 Wilko Heuten is a scientific researcher in computer science at OFFIS – Institute for Information Technology in Germany. His particular research interest is the design and development of multimodal, pervasive and peripheral non-screen interfaces to support persons in various situations. Overall, he has published with his co-authors more than 90 peer-reviewed publications on national and international conferences and journals. 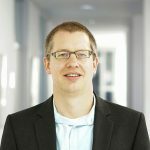 Wilko Heuten is active in reviewing articles and papers for top-rated HCI conferences and journals and is teaching HCI related lectures at University of Oldenburg. Larbi Abdenebaoui is a researcher in the field of digital media processing. Having a background in artificial intelligence, he is exploring the state of the art methods from deep-learning in order to perform content-based analysis of photos. The gained knowledge from this research are shared with the industrial partner CEWE but also with students in term of lectures at the university of Oldenburg. 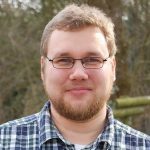 Lars Prädel is a member in the Interactive System group at OFFIS Institute for Information Technology. 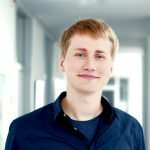 He is developing Augmented and Virtual Reality applications for the Industry 4.0 project IKIMUNI. 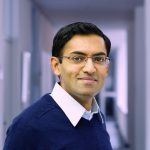 Swamy Ananthanarayan is a postdoctoral researcher at the Media Informatics and Multimedia Systems Group at the University of Oldenburg. His research focuses on interactive construction kits for children that are practical, innovative, and fit into children’s cultural practices. 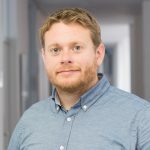 Torben Wallbaum is a researcher at the OFFIS – Institute for information technologies and a doctoral candidate in the Media Informatics and Multimedia Systems group at the University of Oldenburg in Germany, headed by Prof. Dr. Susanne Boll. 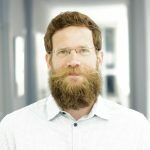 He has a strong interest in Human Computer Interaction and product design with a specific focus on how technology can be used to create social awareness between people by using different means of communication to share memories, experiences, activities and emotions. 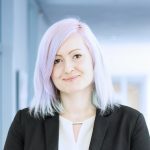 Vanessa Cobus is a researcher at the OFFIS – Institute for information technologies and a doctoral candidate in the Media Informatics and Multimedia Systems group at the University of Oldenburg in Germany, headed by Prof. Dr. Susanne Boll. Her research focuses on ux-design, wearable computing and especially designing wearable systems for health care. Andrii Matviienko is a PhD researcher in the Media Informatics and Multimedia Systems Group at the Department of Computer Science at the University of Oldenburg. His current research focuses on designing multimodal assistance systems for children as cyclists. Tim Claudius Stratmann is a PhD researcher in the Media Informatics and Multimedia Systems Group at the Department of Computer Science at the University of Oldenburg. His current research focuses on Spatial Attention Guidance on Ship Bridges by Multimodal Cues. Uwe Grünefeld is a PhD researcher in the Media Informatics and Multimedia Systems Group at the Department of Computer Science at the University of Oldenburg. His research focuses on the visualization of out-of-view objects in Mixed Reality. 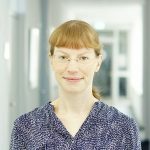 Marion Koelle is a research and teaching associate at the Media Informatics and Multimedia Systems Group at the University of Oldenburg. Her recent research focuses on Social Techologies, and wearable Augmented Reality. Erika Root is a researcher at the Interactive Systems group at OFFIS Institute for Information Technology in Oldenburg, Germany. Her research focus on teaching children and youth computational thinking through tangible programming. 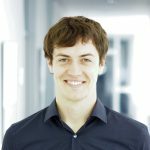 Sebastian is a PhD researcher with focus on virtual and augmented reality. He is currently member of the PIZ project, researching the use of the technologies in nursing and care taking. Elke Beck is a research assistant in the Interactive Systems group in the R&D division Health at OFFIS. 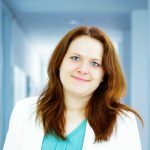 She is currently working in the AEQUIPA project, doing research on technology-based interventions on the basis of sensor-detected vital parameters in order to preserve the mobility of older adults. 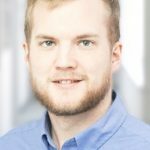 Kai von Holdt is a researcher at the Interactive Systems group at OFFIS Institute for Information Technology in Oldenburg, Germany. 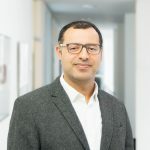 He is currently working in the AEQUIPA project, doing research on technology-based interventions for older adults in order to preserve their mobility und support healthy aging. 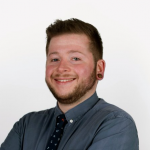 Benjamin Meyer is currently working in the Interaktive Systems group of devision health in OFFIS. His research interests focus on neuronal networks, especially the use of deep learning for image classification and ranking.